Last July's merger of Providence Health & Services of Renton, Wash., and St. Joseph Health of Irvine, Calif., gave the combined 50-hospital system a greater presence in the highly competitive Los Angeles market. 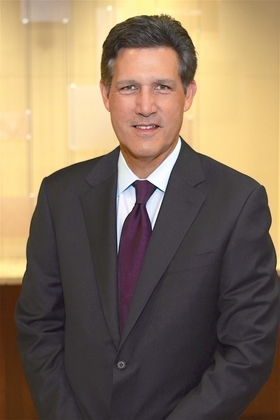 Modern Healthcare Editor Merrill Goozner last week spoke with Dr. Richard Afable, CEO of St. Joseph Hoag Health, part of St. Joseph Health, about the merger's implication for competition in the L.A. basin. Modern Healthcare: What was behind your merger with Providence? Dr. Richard Afable: Our focus is to improve the health of communities in the western U.S. We believe together these two organizations can increase the scope of services and improve how we provide care. The good news is, with one exception, we're all in the same time zone. MH: Are you trying to build a network that can compete across the L.A. basin? Afable: Los Angeles is a market, and Orange County/High Desert is a market. We now have six hospitals in L.A. and seven hospitals in Orange County/High Desert. There is some proximity, but not overlap. The Los Angeles operation is headed up by Eric Wexler, and I am heading up Orange County/High Desert. We will have a lot of collaboration. We're putting a host of plans in place. We're always going to focus on better care for the communities we serve. MH: Did increased competition with Vivity (a consortium of hospitals organized by Anthem Blue Cross) and Kaiser drive this move? Los Angeles, which creates a more expansive network of care. It allows us to work with more partners to provide a better model for local plans and local employers to work with. We're a better network, which allows us to be more valuable in the marketplace. Competition is about being more valuable. MH: What have been the benefits so far? Afable: We're just in our eighth month. We're in the development phase of our two markets in Southern California—further developing our network, enhancing our services, what we need others to do that we don't do. When we have full development of this in a very enhanced, progressive, innovative network of care, we'll be taking specific actions with potential partners, which will include employers and their employees as well as payers and governmental agencies in the area. In California, Medi-Cal, our version of Medicaid, requires a managed-care population health network in order to function. Medi-Cal health plans, many of which are not-for-profit and community-run, require you to have an expansive network that can function under the model of capitation, pre-payment and coordination of care. That is one of the reasons to come together. The individual hospital or physician practice has a very difficult time working in that environment. California is the home of managed care, driven over the years by Kaiser. All the plans have managed-care plans. For employers, it is the predominant way they cover their employees. But it is new for governmental programs, most notably Medi-Cal and Medicare Advantage, which is alive and well and thriving in California. In our market, it's approaching 50% of Medicare patients. MH: What efficiencies are you achieving through the merger? Afable: We did not come together explicitly to gain efficiencies. That was not the intent. It is true that as we are going through the integration process, we are finding places where we can create greater efficiency through economies of scale. It was not part of our arrangement with the attorneys general of the seven states where we work, but we are taking out costs and gaining efficiencies. MH: Did integrating your information technology platforms pose a challenge? Afable: The good news is that both St. Joseph's and Providence had a multiple-year focus on standardization of medical records on both the inpatient and outpatient side. The challenge we have to face is that when health systems standardize, they standardize to their own flavor. That was the case here as well. We're currently in the process of integrating the two standards and finding the common ground. Providence was a much larger health system. So we will be more closely following the Providence standards as far as the technology and type of electronic medical record and other support systems—only because of the size of their investment relative to the St. Joseph side. You can't split the baby to get the efficiencies of scale. That will be a two- or three-year journey. MH: Which vendor will you use? Afable: Providence is one of the largest Epic users in the U.S. We will likely migrate to the Epic platform across all of our hospitals and medical groups over time. That said, there are a lot of opportunities today that don't require picking one flavor of IT system. That was a germane question five years ago. Now it's about integrating technology through health information exchange. MH: What about clinical integration and innovation, which Providence is known for? Afable: Providence has had a big focus on getting to the highest level of excellence in clinical performance. They have had physician chief executives for more than a decade. Providence has been a leader in the country in that regard. St. Joseph brings a lot to the table as well. One of the areas where St. Joseph has been a stalwart is in care and services for the vulnerable. Few organizations in the country have focused as much as St. Joseph Health on that issue. Providence's focus now on mental illness and behavioral health and wellness emanates from the influence St. Joseph Health had as the two organizations came together. MH: You're talking about the new Mental Health and Wellness Institute with $100 million in funding. Afable: It's intended to bring together many people and organizations from around the country and world to take the veil off of mental health and wellness, get it out into the light, and get a focus on improving the health of our communities by focusing on something that very few have focused on. It's a challenge for the whole country. MH: What allows you to focus so much of your resources—as much as 17%—on charitable care? Afable: It has been a focus for our system for many years, and was a focus of the sisters who founded the organization. We built a culture around it. It's not something we do as a sideline. It's at the core of our work. There are almost 800,000 people in Orange County on Medicaid today. And 50% of children in Orange County are on public assistance. Our homeless population rivals many big metropolitan areas in this country. People may think Laguna Beach and oceanfront resorts, but this is a microcosm of our country. The issues of poverty, mental health and caring for the marginalized are as prevalent here as they are anywhere in the country. We also have a significant number of people who lack identity cards and are not U.S. citizens. They have no (paid) access to healthcare. We at St. Joseph Hoag Health see this as a significant reason for our being here. MH: Do they come in through your emergency rooms? Afable: We are obligated to serve everybody who arrives at our doorstep, whether the ER or urgent care centers or OB units—wherever individuals arrive. Our mission is to care for everyone. Justice is one of our values. We make sure we treat everyone the same. We do that in partnership with many other organizations throughout Orange County and the High Desert. How do we make it work? This is a measurable portion of our community benefit—caring for people who are undocumented. They are here. They are part of our community. MH: It narrows your margins? Afable: It does. In the old days, we tried to get higher rates from employers. But those days are pretty much gone. We work very hard to be as efficient as we can with all our care and care delivery. If we wait for people to get sick and come to our emergency rooms, no one can afford that. So we partner with other agencies in our community that are trying to keep everyone healthy. We work with community clinics, either government-funded or privately funded. Philanthropy is a big support system for the vulnerable in our community. Our focus is not to take care of them in our ERs or operating rooms. Our hospitals are very busy. We don't need more patients in our hospitals. We need healthier people in our communities. MH: Has the uproar over immigration affected your workforce? Afable: In healthcare, a high proportion of individuals, many of them in highly professional roles like doctors or doctor trainees, are immigrants. If access for these individuals to the U.S. were to be changed in some fashion, it would affect all of healthcare, not just us. It's something that organized healthcare, whether the AHA or the AMA or many other organizations, will have to address directly. MH: What needs to be preserved from the ACA? Afable: The most important item for me as a clinician and a health system leader is that anything that causes individuals in our communities to delay care or to ignore health issues is going to be counterproductive, not only for them, but for our communities, our society and our country. If having Medicaid or Medi-Cal allows people to pay better attention to their health and get services sooner and in the appropriate place, then we have to be for that. If having some other form of access causes people to be more engaged in their own health and encourages them to seek healthcare when they need it, then we have to be for that.